Simon J. 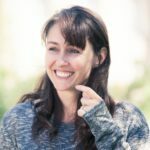 Hall reveals the highs and lows of journeying to Wewak and gives insight into a world now disappeared: despite rich maritime history, Wewak, in the north coast of Papua New Guinea, is now ‘a forgotten place in a forgotten part of the world’. Wewak is a forgotten place in a forgotten part of the world: the north coast of Papua New Guinea, west of the Sepik River. It’s an old German trading post, briefly famous as the site of a large Japanese air base in the Second World War, bombed to bits by the Americans and Australians in 1943. Post war, Wewak regained its position as a minor trading port, exporting coffee and copra brought down from the New Guinea Highlands. 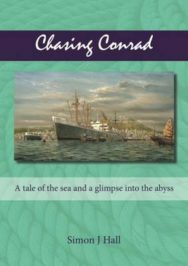 The title refers to the author’s final voyage in the early 1980s, before he swallowed the anchor and prepared for a life on solid ground. Last Voyage to Wewak is the third in the maritime trilogy by Simon Hall, and follows his acclaimed earlier works. 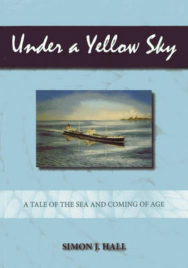 His first book, Under a Yellow Sky, was nominated for the Mountbatten Maritime Award for best literary work, followed by Chasing Conrad, which was equally well received. This third book traces Hall’s last outing from West Africa to the Persian Gulf, from Japan to the South Pacific, looking back to give the reader a glimpse of a world now disappeared. Our occasional passengers were generally older types, in their fifties and beyond. They had their own bar and dining saloon, although occasionally ate with us. Sometimes, the more adventurous/curious/nosey types would come into our bar: they were tolerated although nobody really wanted them there, because they cluttered up the place, forcing us to de-salt our conversations. Bells weren’t generally rung during the day, only from six in the evening until breakfast. They were always rung with solemnity, with exactness. A quartermaster who made a hash of it, failing to ring the correct ‘ding-ding’ sound, would be shamed and humiliated. Ringing bells badly was as embarrassing as if your trousers had fallen down in a public place. In writing the log at the end of the watch, we were more organised in the structure of our sentences than we needed to be. 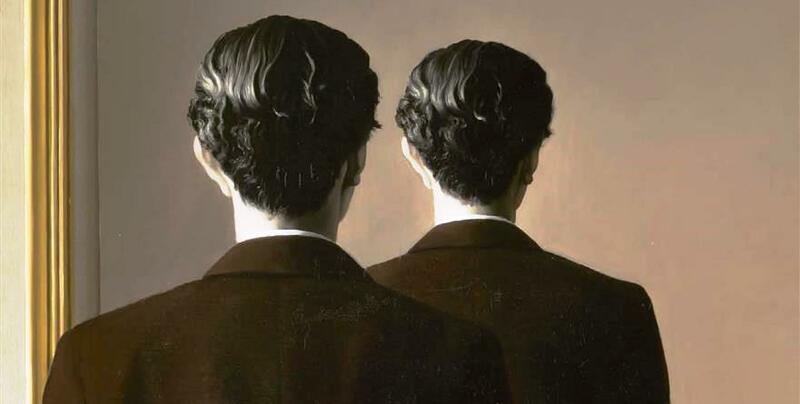 It wasn’t because of an obsession with clarity, it was a case of doing things in the way we thought was right for the posterity we were creating. Our lives went on, the shipping world was changing around us and the light was dimming on our path, but we gripped on to what we had. We were like the old time sailors with their tattooed boast across the knuckles of their hands, one word on each, a boast that they would never give way: ‘Hold Fast’. Sometimes it’s hard to appreciate that less than 40 years ago, before containerisation completely changed the carriage of cargo at sea, a lot of the world’s maritime trade was carried out in a manner broadly unchanged from 100 years previously. Hall paints his picture of characters and incidents in a way that would be instantly recognised by a ship’s mate of the 1880s. The Warri River: thick, sluggish, the colour of workman’s tea, cluttered with debris and detritus being washed towards the Atlantic, branches, vines, clumps of vegetation, whole trees, human refuse. We moored to two buoys, one fore and the other aft, several ropes at either end to hold us in the stream. The pilot who took us up the river was an ancient Brit with an African understudy, the pilot looked mildly drunk, his understudy looked as if he had no earthly idea as to what he was doing. I prayed that we would get the Brit on the way out, drunk or not. From Penang, it was a day’s run down the strait to Singapore. As we left in the mid-afternoon a massive thunderstorm rolled over the coast, the sky went as black as doom, lightening flashing and slashing across the cloud, the rain came down on us in heavy rods. The navigation in the Malacca Strait was reliable, thankfully, with well-tended lighthouses and buoys to mark the islets and shoals. There was a constant flow of shipping of all types. An old Hong Kong flag passenger ship limped along, northbound for Saudi Arabia with a full cargo of pilgrims. Hall’s earlier books illustrated his moral decay and decadence as he travelled the world, although in Last Voyage to Wewak he moves in the opposite direction as he finally encounters personal stability. Hall begins to appreciate more the world in which he lives, although in a bittersweet way as his life at sea moves inexorably towards its close. The dock workers arrived too late and too drunk to work. The bus they had been travelling on had ran over and killed two people outside the town and they all agreed it was best to go to the nearest bar and have a few drinks in respect and commiseration. We ended with an overnight stay in Honiara and went to the yacht club for the evening where we traded conversation with expats in blazers and ties. Although they were lifted from another era, it all seemed strangely normal. This would be my last Christmas at sea. Llewelyn the Pakistani radio officer made a cardboard Christmas tree, which was good of him as he wasn’t even a Christian. We tied the tree in an almost upright position next to the chart room table. Christmas Day arrived as we were steaming down the Vietnamese coast. Presents were diverse. The bosun gave me a bottle of scotch, which I didn’t drink so I re-wrapped it and gave it to the Old Man, who gave me a bottle of gin in return. I wrapped up a paint brush and gave it to the cadet for his Boxing Day job of painting the monkey island, which he took with good grace. For his present, the third mate got the sack from the Old Man, at last, after he had turned up to his evening watch on Christmas Eve barely able to walk. 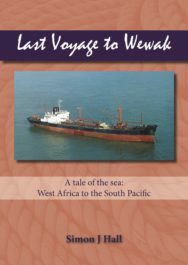 Last Voyage to Wewak has a haunting style, a fine work of sea-to-shore that will sit in the memory long after the reading. Last Voyage to Wewak by Simon J. Hall will be published in January 2017 by Whittles Publishing priced £16.99.